Monday – Friday: 6:00 am to 6:00 pm. Monday – Friday: 3:00 to 6:00 p.m. Teen Time: 6:00 – 7:00 p.m.
Monday – Friday: 1:00 to 6:00 p.m. Teen Time: 6:00 – 7:00p.m. From dances to hang nights, sports clinics to robotics clubs, kids are sure to find something they enjoy at the Youth Center. 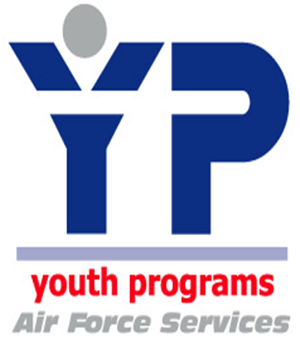 The Mountain Home AFB Youth Programs offers programming for children ages 6 through 18. The center is affiliated with the Boys and Girls Clubs of America and 4-H. Exciting and challenging programs are offered, giving youth opportunities to experience and learn new skills, participate in community service, develop leadership skills, become prepared for academic success and earn scholarship awards and national recognition. We host several clubs for a variety of age ranges and interests. Make sure to ask us about the Keystone/Torch Clubs – T.R.A.I.L and Jr. T.R.A.I.L (outdoor adventure combined with leadership), Health & Fitness Club, Congressional Awards, Power Hour, and much more! We also offer an ever-changing variety of instructional classes. Youth Programs has a year-round recreational sports program for youth ages 4 to 18. Our sports program focuses on fundamentals and fun. We are here to start the building blocks of a lifetime full of sports, healthy lifestyles and physical activity. We offer a wide variety of sports like basketball, t-ball, cheerleading, soccer and more. Registration fees vary by sport. Volunteer coaches are needed for all of our sports programs. Our Nationally Accredited School-Age Program provides supervised, developmentally appropriate programming for youth 6 to 12 years of age during the hours before and after school, on school holidays, and during the summer and winter school breaks. Youth of active duty military and Department of Defense civilians are eligible to participate in the School-Age Program. Fees are based on total family income. Please register on militarychildcare.com For those wanting family activities, we offer skate nights, carnivals, and various other specialized family events throughout the year. Please Note: If you would like to request a “Youth” Sponsor/ Pen Pal for your youth, please contact us at (208) 828-2501, DSN 728-2501.